Update 18th Feb 2018: A paper is being compiled and a business plan focussing on a partner or buyer for market entry is being worked on. Amazon is amazing. And home delivery is sooo convenient… if it worked consistently. If it was really cheap. But people are rarely home and Amazon’s experimental solution to give delivery people access to your front door is… well… scary. So what’s to do? 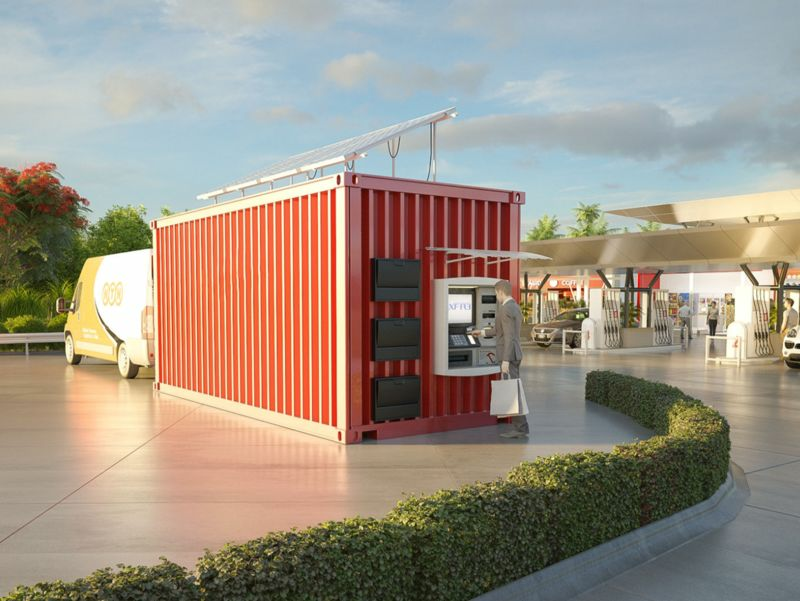 Inventor Ric Richardson is working on a convenient middle ground that consists of an Amazon branded shipping container dropped at a convenient location like a local gas station or in a city parking lot. Access is via your phone with automated package management inside the container. Even the process of loading from delivery van to container is automated in Ric’s model. Rendering shows non functional robotics. Actual robotics is subject to NDA and is patent pending. What’s more the technology also allows for customer returns and supplier drop-off so that Amazon Sellers can use the same distribution network for moving their deliveries to Amazon customers. 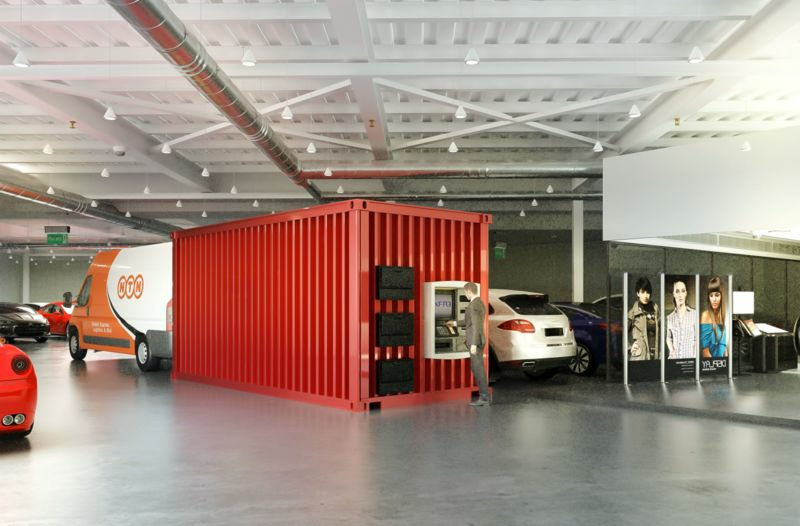 The project may start out as a voluntary delivery location for users in the Byron Bay area. Instructions for consumers on how to use the facility, how to use it as a delivery address with Amazon and insurance for stored goods is being investigated. Ric is looking for a business partner and investors for this project. 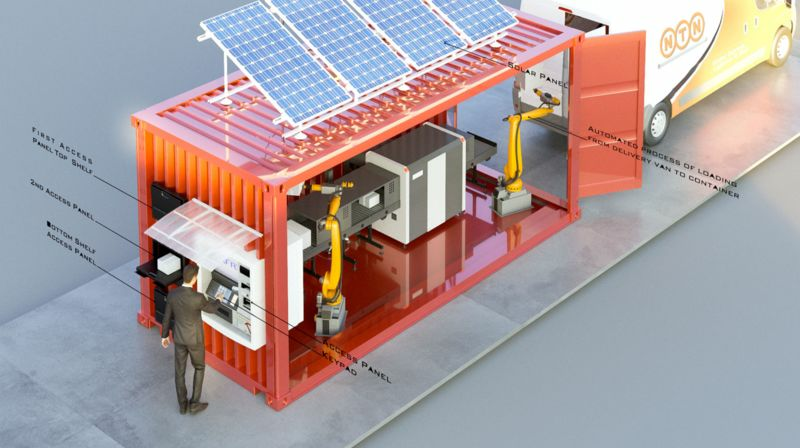 Ric is looking for a shipping container partner for this project. Ric is looking for a robotics collaboration partner for this project. Ric is looking for a location partner in the Byron Bay area from the Ozigo at the Industrial area to the Petrol station or Pub at Suffolk Park. Possibilities include any vehicle accessible easy-to-get-to location with 24 hour access and relatively good security such as all night lighting. This concept is being packaged for eventual sale to Amazon or one of its competitors.